Posted on February 1, 2018	by Rachel L.
Cell phones are everywhere – but using them at work can be dangerous. Workplace phone use can lead directly to danger. Your employees may be putting themselves in danger by performing some of the most common actions imaginable. As cell phones became ubiquitous, they encroached on the workplace, both as business tools and as personal distractions. Now, in the era of smart devices, employees’ phones are more common and distracting than ever before. While there are many different workplace activities made more dangerous when an individual is distracted by his or her phone, driving is the most prominent example. If your employees’ responsibilities include operating a vehicle, the potential danger of phone-based distraction must be addressed in a formal policy. OSHA encourages employers to make it clear that texting in a vehicle isn’t allowed, under any circumstances. When it’s essential for workers to use text messages to communicate with either coworkers of customers, there should be time set aside for that action. If there are work policies in place to make it either essential or financially beneficial for workers to use their phones in unsafe ways, those must be changed. Furthermore, leaders should commit to training policies that make the potential risks of distraction very clear. This involves training, and not just for vehicle operators. Operational Safety and Health explained that policies to protect employees from distractions should encompass power tool use, maintenance, equipment operation, and all kinds of monitoring. Employees who are tasked with keeping potentially dangerous machines on, or watching out to keep their co-workers out of danger, should be free of all distractions, cell phones very much among them. While it’s clear using a cell phone or other smart device to make personal calls when on duty is a potential distraction risk, sending messages related to work can be just as dangerous. 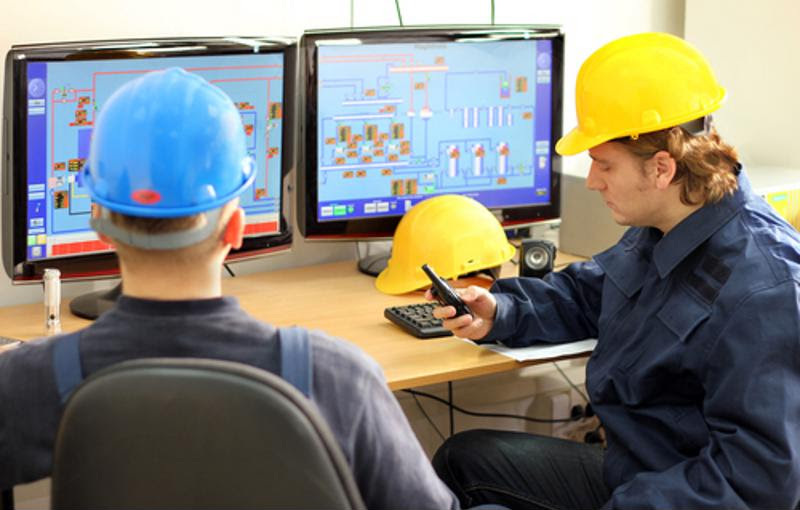 Operational Safety and Health stressed that policies for safe workplace device use should emphasize that there is no difference whether or not the phone is fulfilling a professional function – there are certain places and situations where any and all device use is unacceptable. The source specified that policies should be developed by experts who know what particular roles and environments entail. When the rules are laid down by insiders rather than coming from the top, employees may be more willing to work within them. Furthermore, there shouldn’t be any favored treatment for higher-ranking employees. If managers are exempt from safe working policies, they are not only putting themselves at risk, they may create the impression that the rules don’t matter. For some jobs, cell phone distractions can be dangerous even outside of driving. As mobile devices gain new capabilities, employees are putting themselves at risk in new ways. According to Seyfarth Shaw LLP’s Employment Law Lookout blog, the rise of augmented reality games and apps has added a new wrinkle to cell phone risks. These pieces of software often encourage people to move around while looking at screens rather than their surroundings, and can be a prime cause of accidents. Banning such games on company premises is a relevant addition to anti-distraction rules and shows the importance of periodically reviewing and updating policies. Federal rules regarding when phones must be banned differ depending on the workplace. The law blog added that there are specific OSHA rules keeping people from using phones when operating construction machinery, such as cranes and derricks. Employers have to ensure they communicate such bans to their workers, and additionally prevent them from using phones in situations not directly addressed by OSHA, but which may still prove hazardous. Cell Phones in the Workplace: A Dangerous Distraction. This is a course focused on real examples of the types of painful accidents that can occur when workers are distracted in professional situations. Realizing when phone use is unsafe is an important part of employees protecting themselves and their co-workers, and this course includes a focus on that process. Dangers of Cell Phone Use while Driving. This course’s focus on distracted driving is relevant due to the sheer number of accidents caused by these types of scenarios. More than one-third of workplace fatalities involve vehicles, and cell phone use can greatly increase the chance of problems. While the specifics of every workplace will vary, numerous work environments contain elements that could be dangerous for individuals distracted by their phones. If your organization fits this definition, it’s time to think about policies to protect your workers, as well as training programs to keep them compliant with those rules. This entry was posted in OSHA and tagged cell phones in the workplace, cellphones at work, employee health and wellness, osha general. Bookmark the permalink.